Khloe Kardashian has informed Family She’s Determined To Watch Lamar Odom Heal ~ CK Jacob: Nigerian Fiction And Lifestyle Blog. 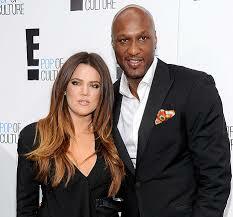 Khloe Kardashian has vowed to stay by her ex-husband, Lamar Odom’s, side as he begins his long road to recovery. According to a source from Hollywood Life, a source revealed to them exclusively that Khloe believes it is her ‘calling’ to help him heal. “She’s told Lamar and her family that she wants to do this, that she needs to this for Lamar and for herself,” they added. “Doctors have told her Lamar’s going to need an extensive amount of rehabilitation, perhaps a half a year even, and she’s preparing for that byturning her home into a rehabilitation center." I wish Lamar speedy recovery. But what happens to the relationship between Khloe and her boyfriend James Harden? I guess break up!